Today, I wanted to show off some pics from our week of sun and sand at Myrtle Beach, SC; most especially of the super amazing "Pirate night" that I shared with my two girlies. I realize that I still haven't shared Disney trip recaps or tips yet, but I promise I'll get to those too. I just had to share some summer stuff before the season ends. 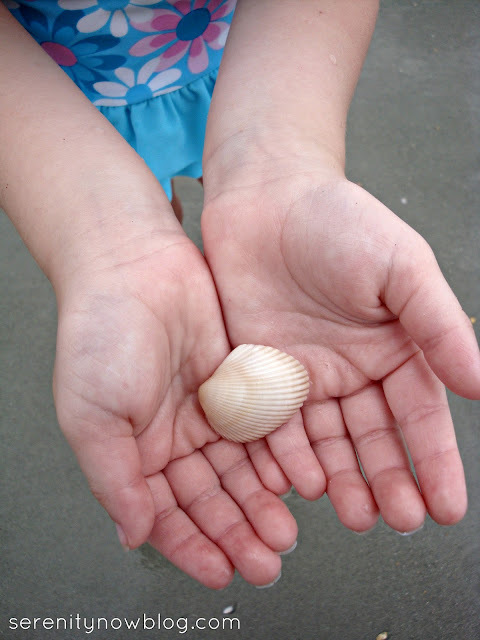 Natalie starts first grade next week, and summer is slipping away! T had to work, but the girls and I drove down on a Saturday morning, following my brother, sister-in-law, and my nephew. We stayed in one of the villas at Kingston Plantation with my sis, niece, and my mom. The resort is run by Hilton, but our 3 bedroom villa (in West Hyde Park) was privately owned and rented. I can't recommend this place enough--spacious, clean, and close to Myrtle Beach attractions. My only complaint was that it took a few minutes to walk to the beach...which can be a feat if you are travelling with small children--and we had four of them! 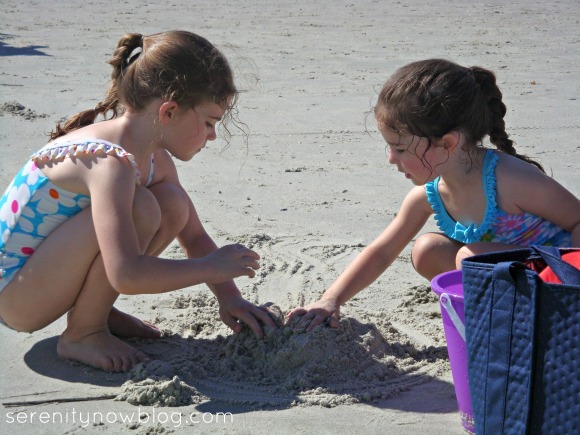 Clearly, the beach is the big draw on a beach trip, but I wanted to choose one fun activity that the girls and I could do together. I went online to hunt for kid-friendly Myrtle Beach activities, and landed on the page for Pirates Voyage, which is a dinner experience much like Medieval Times. It. was. awesome. 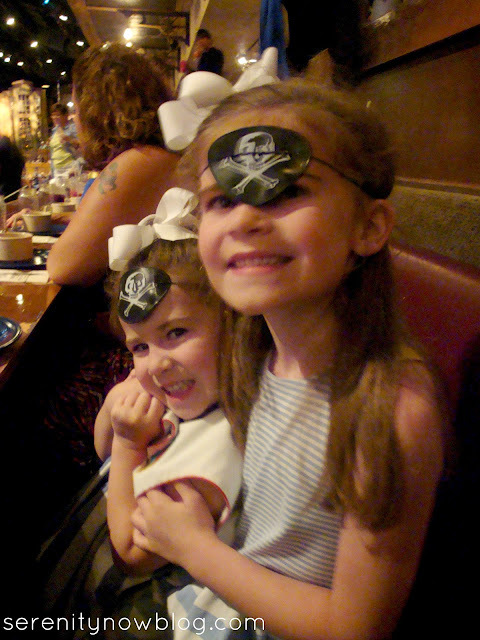 The girls, who were hooked on pirates after riding Disney's Pirates of the Caribbean in May, thought it was spectacular. I packed their eye patches from Disney to surprise them with when we arrived. 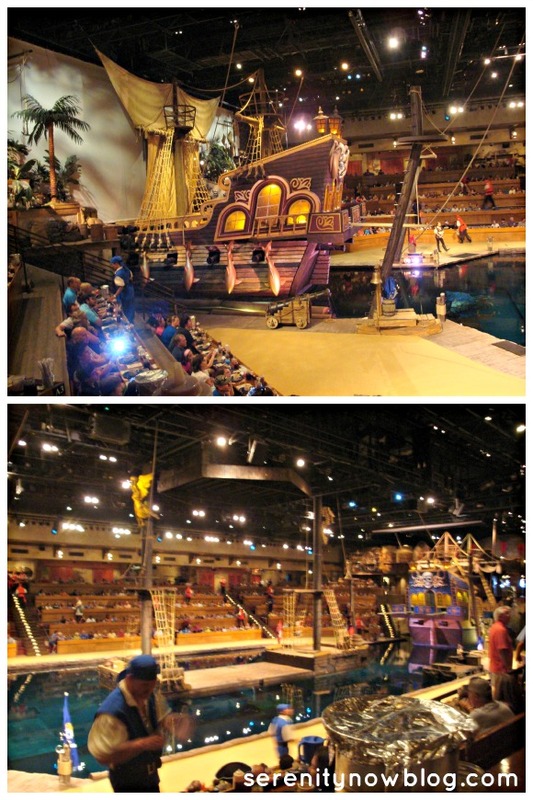 Guests sit on either side of an arena/pool/stage and cheer for their pirate ship "team" throughout the show. The food was okay (not amazing, not bad either), but the music, acrobatics, diving, lights, and animal acts were the real highlight. Good service too...the staff stays in character. I highly recommend it! It wouldn't be a beach trip without hours spent at the beach...and the pool. Small children can never resist the chlorine-laden sirens of the pool. 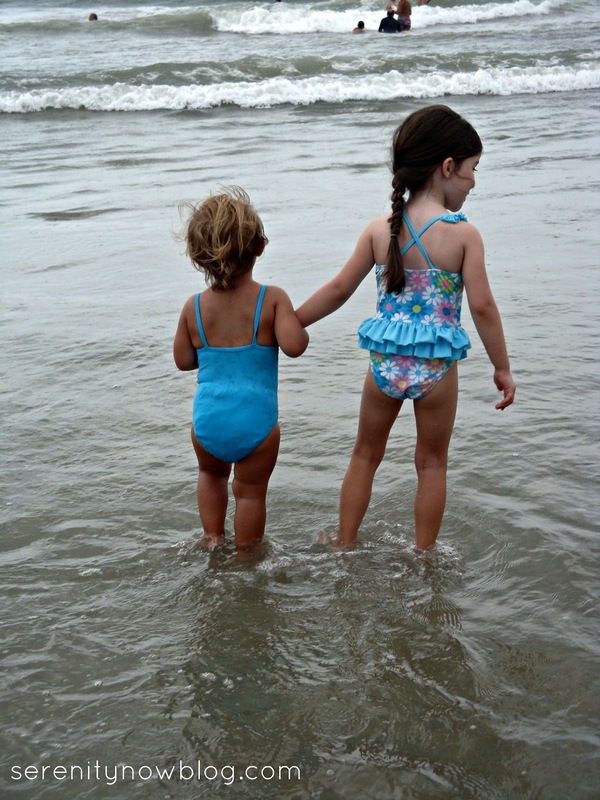 I also bribed the girls into heading down to the beach around 7 one morning, and I got some cute pictures of them in their pettiskirts and homemade rosette embellished tank tops. I'll share those another day because I need your help voting on 3 to make into canvases! Overall, our week in Myrtle Beach was pretty great. The beach wasn't as crowded as I expected it to be, and the accommodations were very nice. It was a big change from all the years we've vacationed in Atlantic Beach, NC...but sometimes change is good! Did you head anywhere new this summer? If you enjoyed this post or found it helpful, I hope you'll click your "Pin It" button or add this post to Google+. First of all - your daughters are adorable! 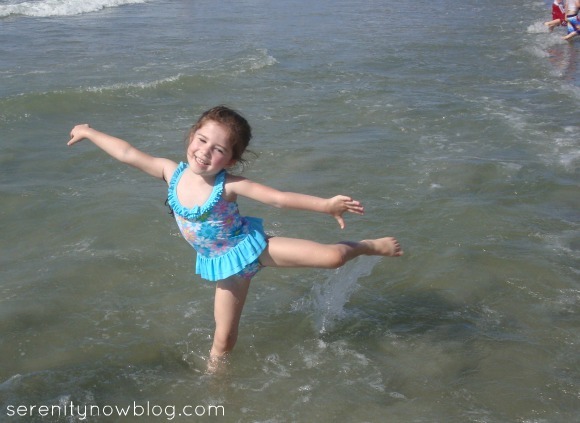 It sounds like you had a fun beach vacation! Sadly, I didn't travel anywhere new this year, but my son (who is 12), went to Australia for 4 weeks (he flew by himself) to visit my parents, so I have to live vicariously through him! Glad you had such a nice trip with your girls! I can't wait for my kids to get back from South Africa on Friday! Glad you had a great time Amanda! I know exactly where you were, our condo is right next to Apache Pier. We go to MB several times a year and it's my ultimate happy place (next to Target, of course!). We hope to retire there one day. These are amazing photos! I love vacation posts. Summer is my husband's busy time at work, so we usually try and do a little trip in the Fall. I've heard that is the best time to go to Disney, is this true? 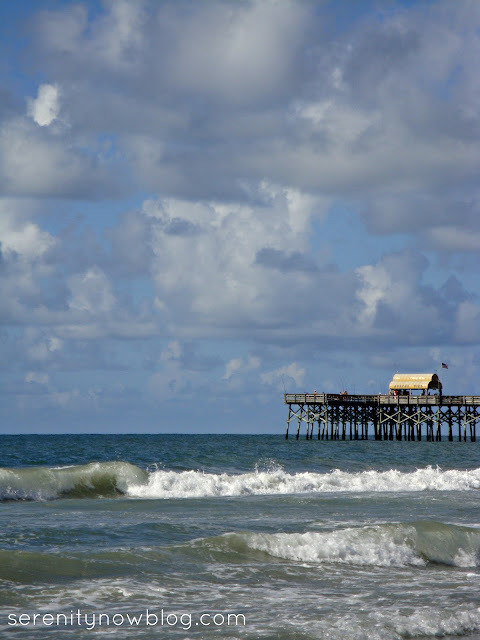 Oh, love the pic on the pier! Wonderful pictures Amanda! Thanks for sharing! My boys are teenagers now but can still "play" at the beach for hours on end. Loved the pictures! 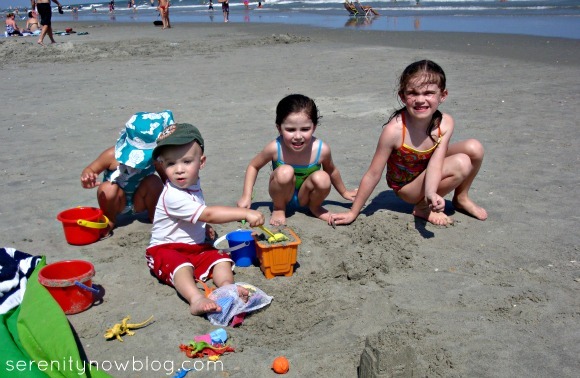 I bet Myrtle Beach was a big difference from Atlantic Beach! ATB has no where near as many attractions or shopping. But its nice if you want to get away from all that. 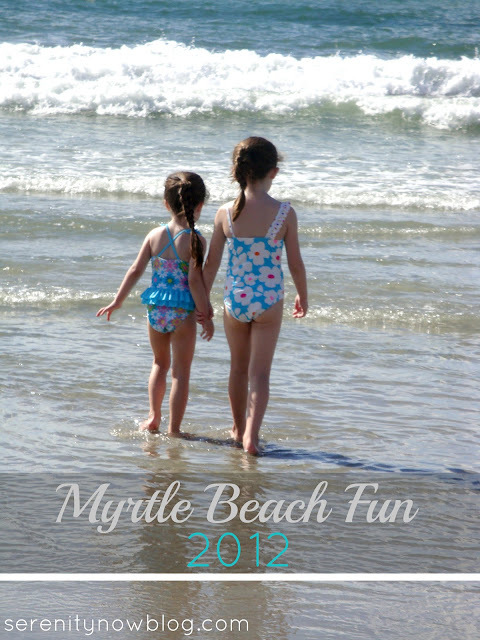 (I live about 45 minutes from Atlantic Beach but we are heading to Myrtle Beach this afternoon.) So we just missed you! We loved Medieval Times in Orlando when we went last year, but this sounds like a blast too! Definitely going to have to give it a try! Fun times with family are priceless. Glad you all enjoyed especially the cuties! It looks like you made the most of every minute of your vacation. The pirate show looks like a lot of fun for kids and adults. 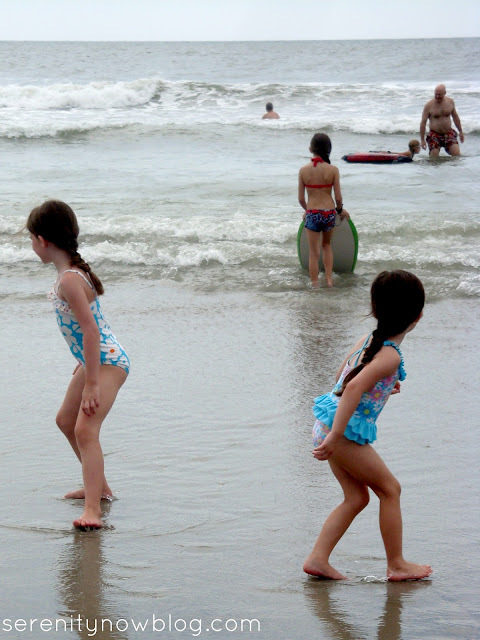 We went to the beach this summer and that was it. We had hopes of taking a trip in July but the storm damage canceled those plans. Such great memories! My youngest is now 21 and I stil LOVE to look at the family vacation photos. Priceless! I am so glad that you enjoyed your trip to MB! I have lived here for about 35 years and we tend to get jsded about all the attractions around us. I just saw them through new eyes and maybe I will take a day and walk the beach. I love it here in the winter time!! I live about 3 miles from the beach and have not been since Easter Sunrise service in the spring!! What a fun, fun family get-away! I want to have a pirate night!! I didn't go anywhere special this summer, but it has been a pretty wild one, for sure. Your girls look adorable, as always, and look like they had a fabulous time! I was looking for blogs about the Kingston Plantation to share on our site and I came across your post...If you're open to it, shoot me an email at jane(at)dwellable(dot)com.